What are your tips for improving overall system performance on ubuntu? Inspired by this question I realized that some default settings may be rather conservative on Ubuntu and that it's possible to tweak it with little or no risk if you wish to make it faster. This is not meant to be application specific (e.g. make firefox load pages faster), but system wide. Preferably 1 tip per answer, with enough detail for people to implement it. PS: Since this is not intended to have a unique answer but rather, several useful tips, I'm making this community wiki out-of-the-box. If you are "the average Joe", then just don't do anything. Don't fiddle with programs or settings which you don't understand. Don't follow tips posted on the Internet how to improve the performance of your system by compiling some software yourself or by installing a selfmade kernel. Some of those tips may give you minor performance improvements indeed, but some of them will also give you a real headache, if you changed the wrong setting, disabled the wrong service, installed the wrong driver etc. Therefore just be happy about your nicely running system. And BTW: Why would you need those 5 percent performance improvements? It will not lead to typing your office documents faster or editing your holiday photos in half the time. A lot of packages start up services automatically. These services then use memory and CPU even they are hardly ever used. It is better in this case, to stop those services, or take them out of autostart, and start them up only if they are needed. On 12.04, you can go select the startup applications by clicking on the Dash Icon. Then, type startup and select "startup applications". And just unmark the apps you don't need. But be sure about it, don't just remove apps you don't know. If you are not sure about one, leave it that way. A google search or new question here about specific programs will help. [Disclaimer] Administer the following at your own risk. shell option is now obsolete. Default value is makefile and shell is by 2010-05-14 an alias for makefile. Note: goto /etc/init/ and change the tty’s files that you DO NOT want. Edit them and comment lines starting with “start on runlevel”. So, in this case, you’ll comment the start line in "tty4.conf" to "tty6.conf" files. Actually, Prelink is useless since Feisty Fawn (because Ubuntu uses a very effective runtime linker now). In addition, it's intrusive - it directly modifies the executables and ultimately can break them. DO NOT do it. 9. Get rid of kinit if you don’t use hibernate and sleep functions. Edit: Comment (Put # in front of) RESUME=XXXX……………………. Sounds trivial, but I found the default 10 seconds in Ubuntu is too long for my tastes. Say my screen takes a bit to auto-adjust the res, I see the counter reads 8 seconds at first sight. I would edit the timeout to 3 seconds, giving me a second to see the boot menu (accounting for the time my screen adjusts to the res). Plenty of time, as pressing the arrow keys to select another item stops the counter. I experienced an overall performance boost after I added the "noatime" option to my filesystems (ext4 and reiserfs). I cannot provide speed tests, but I invite you to try it and see for yourself. Useful resource at Ubuntu Forum: Saving hard drive with noatime in fstab. If you are short of RAM, use zramswap or zram-config from Ubuntu repos. It's virtual swap that compresses unused RAM contents instead of putting them to disk (which usually freezes the system after you hit the RAM barrier). I experience little to no performance loss with it instead of system freezing every time I run out of RAM. This works only for Natty and up (because you'll need kernel 2.6.37.1 or newer). For older systems you can use compcache, but you'll have to set it up manually. For those who never hit the RAM limit it gives some speed boost on HDD systems anyway, but you'd better decrease swappiness to achieve the same effect. SSD users: most likely you won't experience any speed boost, but zramswap can reduce SSD wear quite a lot. I'm not sure if my answer would qualify, because Ubuntu usually means GNOME and Ubuntu variations that use lighther alternatives have slightly different names, like Xubuntu. 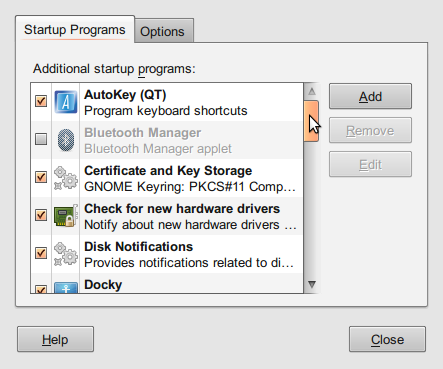 Getting rid of GNOME is the first thing that I usually suggest. If you are happy with something lightweight like fluxbox, do it. Solid State Drives are much faster and seems to be the most bottleneck in almost every computer nowadays. I, for one, have experienced decrease in boot time from ~15 seconds to ~3 seconds, and great decrease in first start apps (Firefox, for example, from ~5 seconds to less than a second). Want some benchmark? Here is one. Set vm.swappiness=10 in /etc/sysctl.conf. I get a noticeable speed improvement when I fill memory. Since I use Eclipse most of the time, physical memory can become a sparse commodity. "The default setting in Ubuntu is swappiness=60. Reducing the default value of swappiness will probably improve overall performance for a typical Ubuntu desktop installation. A value of swappiness=10 is recommended, but feel free to experiment. Note: Ubuntu server installations have different performance requirements to desktop systems, and the default value of 60 is likely more suitable." The FAQ is pretty complete about explaining what swap is, how it is used and how to change it. Recommended reading for anyone thinking of tinkering with swappiness or the size of swap file on disk. As silly as it sounds, always update your system! On one Ubuntu machine I have, I found that setting desktop effects to none (disabling all the graphical effects) made a huge UI speed improvement. Enable writeback mode. This mode will typically provide the best ext4 performance. Note that it happens at cost of reliability as it disables journaling for writing data. Data may be written into the main filesystem after its metadata has been committed to the journal. As result old data may appear in files after a crash and journal recovery. Ensure you have used tune2fs to turn on writeback mode BEFORE you edit your fstab file and BEFORE you reboot. I say BEFORE because I rebooted after I altered my fstab but before I turned on writeback mode and borked my boot. Nothing lost but I had to use a live CD to gain access and change my fstab. Safer if you enable on a non boot drive to test first. Massive improvement in speed in both boot and shutdown and day to day use. You can also turn off Journal mode that will give an added boost, for added safety make sure you have a UPS connected and working because with these features turned off your data isn't as safe, having said that my system doesn't have a UPS and it's power has been interrupted at least three times and I've suffered no data loss, but your mileage may vary. Buy as much memory as you can afford and the machine can hold. The following is for experts only. As the name implies, it can and will eat your data, even if you are careful. eatmydata is a drop in package that will turn off fsync. Fsync is a system operation that ensures that your data is written to disk before continuing. Generally you want this, as it makes recovering from power outages and failures easier, faster, and less data lossy. It comes at a price though; anything calling fsycn will have to wait it's turn in line, rather than simply delivering data to the kernel to write at some later date. And in some, perhaps even many filesystems, fsync will write out all data, not just the stuff you're interested in protecting. There are some specific situations where fsync isn't worth the cost. Imagine you have a server that number crunches a bunch of data. Rather than pointing this at a live database, it might be faster to dump into a consistent local database, install eatmydata to turn off fsync, and let that go. This can still crash and lose data, but since it's not the only copy of anything, you can just restart the process from scratch. Or, for example, Ubuntu's build servers, where all we care about is the final package produced. Or, on the desktop side, if a program (like Firefox) is syncing so much it's slowing the entire system down. Just be prepared to lose all data associated with using this, or face dire consequences. Close applications that are not used all the time. Just by only running the applications that are used currently, the system will be a lot faster. Also, stopping applications is the only way of freeing memory lost in memory leaks. The startup of the application on a fast running system is often less than switching windows on an overloaded and slow system. Use JFS filesystem. It's rock solid. It has lowest CPU usage and a very good overall performance. These settings increase responsiveness for a typical desktop workload. vm.swappiness instructs the linux kernel to favour application code over caches when these two compete for RAM. vm.vfs_cache_pressure controls inode/dentry (i.e. filesystem) cache vs. other caches, i.e. we want to keep filesystem meta-data in RAM if possible. Unity tends to be a bit resource-hungry, though I am surprised to hear that you experienced similarly poor performance even under Unity2D. One possible solution would be to play around with other more lightweight Desktop Environments such as Lubuntu (LXDE) or Xubuntu (XFCE). I think you will see a substantial difference in overall responsiveness and performance. Part 1. Set swappiness. This may be as per degusa's answer, but it could be the opposite, and it'll have more effect when it is. One scenario that some of us are happy to be in is when we have plenty of RAM. Generally, we've a small percentage of it being directly used by the kernel and applications, some (maybe a large amount if you've used other tweaks to boost performance such as mounting /tmp in memory) used for ramfs and tmpfs, and gigs and gigs being used as a disk cache to make our file-access faster. In this scenario once the total used memory including cache becomes high, and an application needs more RAM, linux has to decide whether to take some cache from the file system, or swap out to the swap partition/file. Since we've tonnes of RAM, and quite possibly only bothered with swap at all so we could enable hibernation, we want it to lean toward taking some of that copious cache, and hence want a low swappiness. If we don't care about being able to hibernate, we might even find that such a high-RAM machine doesn't need swap at all. Another scenario is someone with low RAM who is switching between a few heavy applications and spending a reasonable amount of time on each. Imagine perhaps a web dev who spends some time on their IDE, some on a graphics editor, some on their browser of choice, a bit on some other browsers to check on compatibility issues, and maybe 5 minutes every hour on their mail client. They're also likely hitting the same files repeatedly with reads and writes and hence benefiting appreciably from file caching. This person could probably benefit from linux being more eager to swap out the memory used by whichever of those heavy applications they're currently not active on, so swappiness should probably be higher for them. Not only is the best setting for them likely to be higher than the most common advice, but they're probably going to notice it more than the person who always has gigs to spare anyway, too. Part 2. Priority & number of partitions. Each swap partition has a priority, and linux will use that with the highest first. If not set in /etc/fstab, it'll be treated as negative starting with -1 (explicit settings are between 0 and 32767 and so -1 is lower than any explicitly set) and continuing in order in fstab to -2, -3 and so on. The best setting depends upon where the partitions physically are. If you've only one, then it doesn't matter (but maybe you should have more than one, so read on). If you've two or more on the same physical drive, then they should have different priorities so that it doesn't try to use two partitions that require seeking between them (does anyone know if this is automatically avoided?). The defaults are fine. It's probably not a good idea to have two swaps on the same drive anyway, but it can happen if you created one and then decided you needed more swap later (perhaps when adding more RAM). If you've two or more on two or more physical drives that are of about equal speed, then setting them to the same priority will mean linux will use them both at the same time, which offers better performance for reasons analogous to why RAID or simply ensuring that there are frequently used files on both drives will - the work gets split between them. If you've two or more physical drives of equal speed but have swap only on one, maybe you should change that, for the above reasons. If you've two or more physical drives, of very different speeds, then generally you want the fastest drive to have a higher priority than the slower, so it's used first. You may not even want to have any swap on the slower, though it might make sense if you e.g. have a small swap on a fast but small drive for fast swap, and a larger swap on the slower drive so you've enough space to hibernate. Highest-priority, or perhaps only, swap on the SSD, for speed. Only swap on the non-SSD, to reduce writes on the SSD and hence increase its lifetime. Number 2 is probably the one to go for if you only really have swap to allow for hibernation and otherwise your copious RAM means you don't really need it (and if you're spending money on an SSD, you should spend it on RAM too) unless perhaps you're a boot-up speed fanatic who wants to boot from hibernation at a speed that'll show off your fancy high-spec rig! Otherwise, the balance is all about speed vs SSD lifetime. If you've a drive existing solely for swap so as not to compete with other file I/O, then you presumably are hard-core about performance and already know about this stuff better than me and are only reading this to see if I got anything wrong! If you want to have a look at what services are started after booting on Ubuntu 10.04 run "jobs-admin". If we are talking about getting from BIOS to internet connectivity i can recommend setting up network without using NetworkManager, personally I've done this because i have a very sluggish DHCP server and NetworkManager doesn't start probing for network until i've logged in. 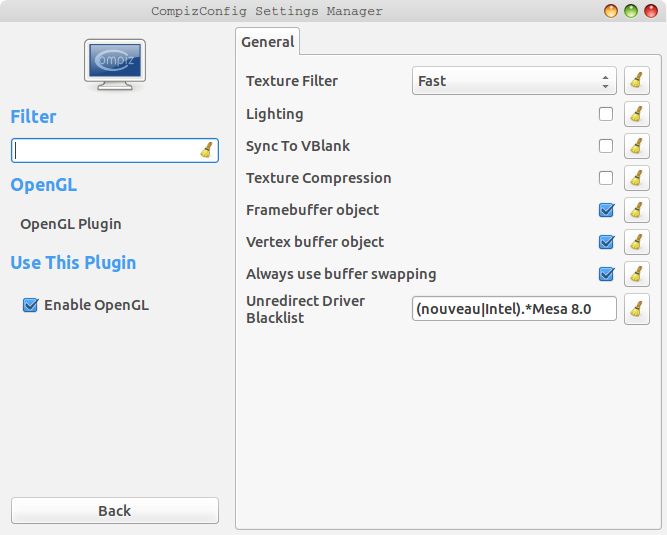 If you use a Unity desktop then try a more lightweight interface like LXDE or Xfce. Found what was slowing down my machine: gwibber-service. Maybe because I have an account in twitter that follows a lot of people and when it refreshed the machine went bad. as @blasmat indicated to go through Startup Applications I could see that the service started automatically and I disabled it. Now my computer is much faster. I think there are still improvements I can make (I don't feel it at it top conditions), but after 20 hours of testing the performance I can say it really goes well. The ubuntu-tweak utility has a handy "Janitor" tool that allows you to clear caches and orphan packages very easily. Note that as of 2016-04-16 Ubuntu Tweak is abandoned, with last update over year ago - see https://github.com/tualatrix/ubuntu-tweak (what makes http://blog.ubuntu-tweak.com/2012/10/22/thank-you-ubuntu-tweak-will-continue.html outdated). Use apt-fast instead of apt-get, and put your apt cache on tmpfs. I've used aria. Then you need apt-fast itself. Answer the questions, and from then on apt-fast will act like apt-get in just about every regard except that it downloads packages in parallel. It makes no difference if you are going to install a single application, but lots for larger installs. This has the downside that if the same package is used several times over different boots, it'll have to download it again, but then it may have been updated in the meantime anyway. It has the upsides of faster access of them, automatic clean-up of unused packages on reboot. Since I've been re-installing a lot over the course of these experiments, it allowed me to do a comparison. After installation of 12.04 one will at the time of writing have about 300 updates including a kernel update available just after installing. I ignored software updater and did the above changes before apt-fast update && apt-fast dist-upgrade and the download part is many times faster (the actual installation takes the same time). I have an alias of alias apt-get="apt-fast" so I don't even need to change habits (the only differences are different feedback on the download, a confirmation on whether I want to download them, and an implied sudo should I forget it, but the commands to trigger anything is the same). I would check for what processes are running and which ones are using up the most memory. There might be something you are installing that is a memory hogger. use top command or system monitor. I would also check my startup applications to see what runs at start up and what I don't need to run at start up. And I would also check responsiveness in specific applications. last thing I would check graphics settings. Maybe you need to compromise battery life for performance. 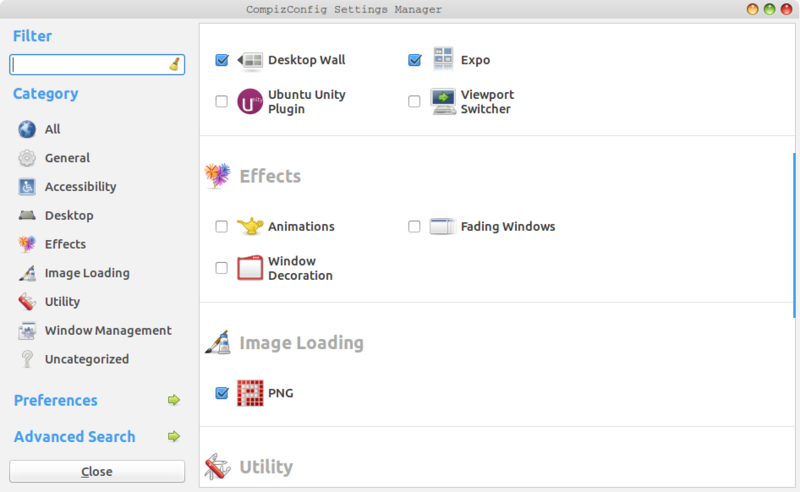 Another good way to boost performance is to install CompizConfig Settings Manager, and disable animation effects, Fading Windows, and Window Decorations. Desktop wall and Expo are an option, too. Instead of messing with your Ubuntu system: make a fresh installation of a community flavour of Ubuntu, a flavour with the same Ubuntu engine under the hood, but with a lightweight desktop environment, and with lighter application programs. the medium light Ubuntu MATE or Xubuntu. It is a kernel with experimental patches to improve desktop performance. Why is Ubuntu slower than Windows Xp? How to speed up ubuntu 12.04? What programs can I use to improve network performance?